ST. LOUIS, MO--(Marketwired - October 07, 2015) - October is both National Bullying Prevention Month and National Orthodontic Health Month, which makes it a good reminder that anyone can become a victim of bullying -- even a former beauty queen. "I was called ugly at 16," explains Amie Beth Dickinson Shaver, a former Miss Alabama, who was bullied about her looks when she was in high school. "My teeth stuck out, and I didn't feel comfortable. I felt awkward." Fortunately, on the recommendation of a friend, Amie Beth's concerned mother met with Birmingham, Alabama-based orthodontist David M. Sarver, DMD, MS, and he was able to show them what her new smile could look like after treatment. Dr. Sarver's approach is technology-based: put the patient's picture on the computer screen and use software to modify the smile and jaw alignment, projecting how they could appear following treatment. Amie Beth began to realize there might be hope for her. Members of the American Association of Orthodontists (AAO) report that they, too, regularly treat many young patients who were teased and even bullied because of their teeth. "Many orthodontists work with parents to identify any social problems that are surfacing and develop plans to help correct the teeth early in the treatment process," says Morris N. Poole, DDS, president of the AAO. A study published in the American Journal of Orthodontics and Dentofacial Orthopedics1 reported that unattractive teeth in 11-to-12-year-olds had been linked to bullying. 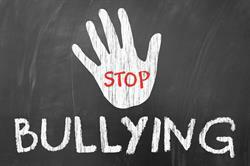 A significant percentage of children had experienced bullying due to dental and/or facial appearance. Teeth were the number one physical feature most likely to increase a child's chance of being bullied, whether it was spacing between the teeth, missing teeth, the shape or color of the teeth, or prominent front teeth. Dr. Poole confirms that orthodontists have long been aware of the relationship between serious dental problems and self-esteem -- no matter the age of the patient. "A person's smile is an impressionable facial feature," says Dr. Poole. "Not only can poor alignment denote poor dental health, unsightly teeth can make a person self-conscious or have lower self-esteem, in turn, making them an easy target for bullying. This is not limited to children. There are many instances where adults are discriminated in the workplace due to the appearance of the teeth." Today, one in four orthodontic patients is an adult, and that number is rising. Members of the AAO have found that for some youngsters who are bullied because of their teeth, early orthodontic treatment (while some baby teeth are still present) can be appropriate. Such patients may gain a major psychological benefit, and a side benefit sometimes occurs: treatment may save protruded teeth from being broken. "I was one of those kids who was bullied because of my overbite and I begged to get it fixed," says Dallas orthodontist Michael W. Ragan, DDS. "I firmly believe that early treatment can be one of the most beneficial things for a youngster's self-esteem." Dr. Poole agrees that it is common to see a patient's self-esteem and self-confidence improve while in orthodontic treatment. Often, significant improvement in appearance can be seen during the first three to six months of orthodontic treatment. "But the real excitement comes once treatment is complete. It's a joy for both patient and doctor." "The 'before girl' felt insecure. Why would anyone notice me?" continues Amie Beth about her orthodontic treatment. She goes on to explain that, "In a way, that was good because that made me develop my character and realize what my parents were teaching -- inside is what matters." After the braces came off, friends noticed her change. "It's humbling, but having braces and going through that transformation was also an inward transformation because I went from insecure and wanting to do all these things to doing them and finding my voice and courage along the way." Amie Beth was named Miss Alabama in 1994, and today is a well-known political activist. Dr. Poole cautions that not all children with poor dental/facial appearance are candidates for early orthodontic treatment. "Sometimes dental problems are temporary as part of the normal process of teeth coming in," explains Dr. Poole. "Reassurance from an orthodontist can help young children and their parents get through this transitional period, especially if orthodontic treatment is recommended to improve their condition in the months or years ahead." The AAO recommends that children get a check-up with an orthodontist no later than age seven to determine if and when orthodontic treatment will be needed. "This is also a good chance to check in on potential teasing or bullying problems," Dr. Poole notes. More than 4.6 million children and 1.2 million adults in the U.S. and Canada are currently being treated by members of the AAO. 1 The complete study is available through the American Association of Orthodontists website: https://mylifemysmile.org/cms/wp-content/uploads/2014/10/AJO-DO-Article-Bullying-Among-JordanianSchoolchildren.pdf. Founded in 1900, the American Association of Orthodontists (AAO) is the world's oldest and largest dental specialty organization. It represents 18,000 orthodontist members throughout the United States, Canada and abroad. The AAO encourages and sponsors key research to enable its members to provide the highest quality of care to patients, and is committed to educating the public about the need for, and benefits of, orthodontic treatment. Orthodontists are uniquely qualified specialists who diagnose, prevent and treat dental and facial irregularities to correctly align teeth and jaws. Orthodontists receive an additional two to three years of specialized education in orthodontics beyond dental school at an accredited orthodontic residency program. Visit the AAO's website, mylifemysmile.org, for information about orthodontists, orthodontic care and to locate nearby AAO-member orthodontists. 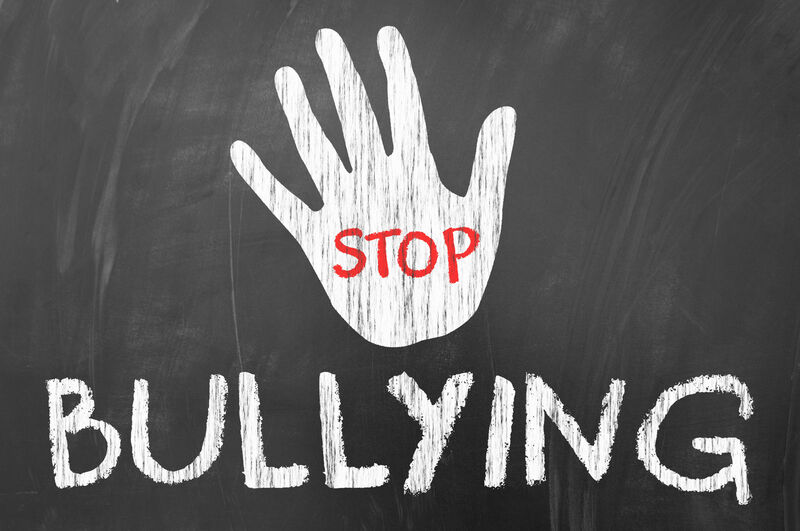 A significant percentage of children have experienced bullying due to dental and/or facial appearance.